The 2016 International Narcotics Control Strategy Report has been released by the US State Department and there is a list of fourteen Caribbean countries named as major money laundering nations. 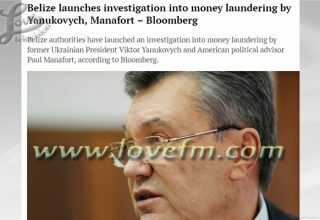 In the document, a major money laundering country is defined as one whose financial institutions engage in currency transactions involving significant amounts of proceeds from international narcotics trafficking. Belize is listed among the fourteen countries. According to the report, it reads, quote, “Belize is not a major regional financial centre; however, it has a substantial offshore financial sector. 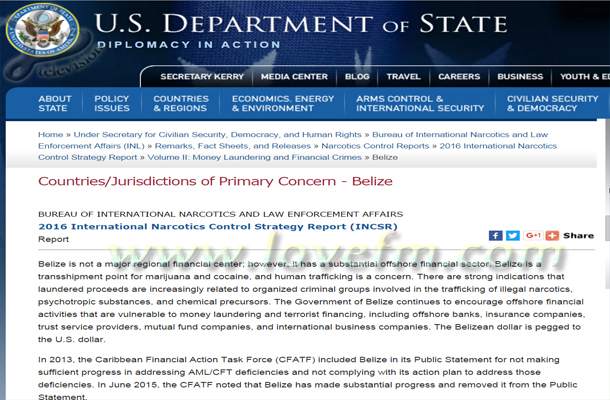 Belize is a transhipment point for marijuana and cocaine, and human trafficking is a concern. 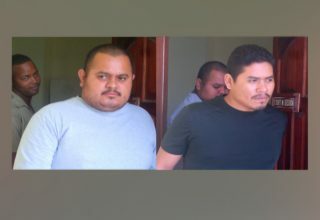 There are strong indications that laundered proceeds are increasingly related to organized criminal groups involved in the trafficking of illegal narcotics, psychotropic substances, and chemical precursors. 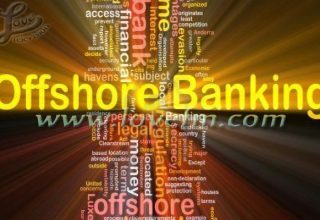 The government of Belize continues to encourage offshore financial activities that are vulnerable to money laundering and terrorist financing, including offshore banks, insurance companies, trust service providers, mutual fund companies, and international business companies.” End of quote. The other countries are Costa Rica, Colombia, the Dominican Republic, Cayman Islands, Guatemala, Haiti, Curacao, British Virgin Islands, Panama, Venezuela, St Maarten, Antigua and Barbuda as well as the Bahamas.